Philadelphia PA, the City of Brotherly Love or simply Philly, is a unique combination of history, culture, and scenic beauty. It was in Philadelphia that the Continental Congress voted on Independence from England and it was Philadelphia that launched a new music genre in the 1970s that became known as the Philadelphia Sound. The city is a vibrant metropolis of over 1.5 million residents, known for its cheesesteak and soft pretzels, gracious 18th buildings, and unique Philly tenacity. Famous Philadelphia residents have included Patti LaBelle, Hall and Oates, popular recording artist Pink, Marian Anderson, Bill Cosby, Grace Kelly, and Will Smith. A trip to Philadelphia PA is a trip to the past and to the future. It's fun, fascinating, and diverse. 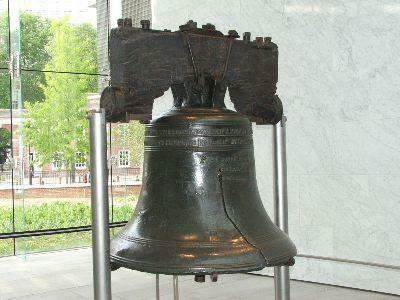 The Independence National Historical Park encompasses 45 acres in the center of downtown Philadelphia. It is home to twenty restored 18th century buildings, including some of the United States' most revered historical monuments, such as Independence Hall, the birthplace of the Declaration of Independence and the United State Constitution. Other attractions include Franklin Court, the old Quaker Meeting House, and the City Tavern. All the area's buildings are within an easy walk of each other and give visitors a good feel for what life must have be like for America's earliest patriots. This elegant museum is dedicated to the work of 19th century French sculpture, Auguste Rodin. It's the largest collection of the artist's work outside of France. The exhibits include bronze castings, plaster studies as well as drawings. Rodin, who is best known for his Thinker, created figural works in bronze, clay, and marble full of power and emotion. The museum's lovely, manicured garden is a serene oasis and includes many larger Rodin sculptures. Located near the Rodin Museum and other Philadelphia cultural institutions, the Philadelphia Museum of Art is one of the United State's most important art museums. Ironically, it is probably best known for its front steps, which were featured prominently in the Rocky movies. The museum's neoclassical building houses a diverse collection, and its known for its collection of Pennsylvania German art, 18th and 19th century European decorative arts, and an extensive array of work by Philadelphia artist, Thomas Eakins. The Barnes Foundation is a small, but important museum that houses over 2500 objects, including 800 paintings from Impressionists Claude Monet, Paul Cézanne, Pierre-Auguste Renoir, and Vincent Van Gogh as well as modern masters, Amedeo Modigliani, Pablo Picasso, and Henri Matisse. The collection, amassed by Philadelphia industrialist Dr. Albert Barnes, was conceived more as a school than a museum, is housed in the Barnes family estate, just outside of town in Merion. The collection recently announced its intention to move to a location on the Benjamin Franklin Parkway nearer to the city, but no date for the move has been set. The collection is open to the public on Friday, Saturday, and Sunday throughout the year with the addition of Wednesdays during the summer. Visitors must reserve tickets before arriving at the museum. Don't be dissuaded, though. This museum is well worth the trip. Penn's Landing is a wonderful mixed-use venue, along the Delaware River, near the center of Philadelphia PA. The park offers concerts and carnivals in the summer and ice-skating in the winter. The river offers scenic views year round. The piers along Penn's Landing house a variety of restaurants, shops, and nightspots - something for every taste. In addition, a casino is being built adjacent to the park. The Valley Forge Historical Park, just outside of Philadelphia PA, commemorates where the Continental Army, under General George Washington, spent the harsh winter of 1777 during the Revolutionary War. The ill equipped soldiers, many of them shoeless and without winter coats suffered miserably during the severe snow and cold. They preserved, however, despite casualties to defeat the British in the spring. This spot, now a National Historic Park, welcomes visitors to see the fields where the army camped and to tour the Washington headquarters museum. Interactive exhibits throughout the park help make the history seem real.